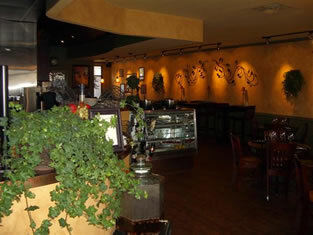 Minutes south of downtown, the Latah Bistro offers a culinary Tah-da experience! This is one of Spokane’s favorite, locally owned restaurants. The atmosphere is warm and inviting from the rough plastered buttery walls and sage wainscoting to the busy open kitchen. The menu features an ever-changing blend of Continental Cuisine and European Bistro delivered with a fresh Northwest flair. 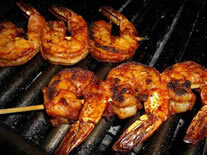 What guarantees a satisfying dining experience? The bistro is dedicated to sourcing ingredients from small, local, environmentally focused farms in or near Spokane. 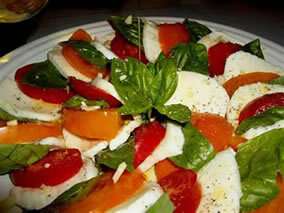 A close relationship with growers insures that you will be eating the tastiest healthy food, direct from farm to table. Lunch delights from the sandwich menu might range from a tasty Turkey Ciabatta or Prawn BLT Panini to a Roasted Portabella Panini or Italiano sandwich with coppa and Tuscan salami. Differnet variations of gormet, stone-oven pizza constantly change and one day might include the G.A.S.P. pizza with garlic, artichoke hearts, sun-dried tomatoes and pesto and the next day change to a Mushroom Pizza or Pizza with 4 Cheeses. Or try the Wild Mushroom Ravioli, New York Steak with foie gras butter or Orange Sauce Stir Fry with shrimp or tofu. Before you get serious about a dinner entrée, try an appetizer of Baked Triple Cream Brie, Olive Bruschetta or Roasted Rosemary Cashews. Next course is a fresh Apple Cheese Salad, Bistro Salad or Chili-Lime Beef salad. Then settle in for a delightful main course of perhaps Pork Osso Buco, Idaho Rainbow Trout , Wild Smoked Salmon Wrapped Salmon or gourmet pizza. ALWAYS save room for desert! Whether it be an Apple Tart, Caramel Cake Sundae or Chocolate Espresso Mousse, the sweets are luscious. And speaking of chocolate…this bistro is famous for its Buckets of Love, a bag of tiny chili-chocolate cakes and its Chocolate Sampler with your choice of three pieces from the Bistro’s selection of the world’s finest chocolates. 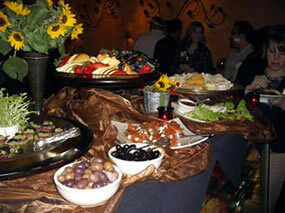 A fine assortment of wine, beer and sprits complements the food. With a good eye to customer service the busy chefs in the kitchen are always willing to prepare meat-free, dairy-free or vegan items on request. Walk-ins are always welcome but at this popular spot, reservations are recommended. The friendly knowledgeable staff will take care of you well and your dining experience should definitely bring you back for the new seasonal offering. 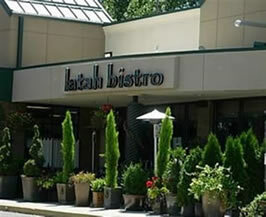 Latah Bistro’s motto is "NATURE CHANGES DAILY SO DOES OUR MENU".